This 6-foot wide, handicapped accessible trail was constructed in 2005 and 2006, adjacent to our new multi-million dollar Wildlife Education Center, located just at the outskirts of Brigham City. The half-mile long concrete trail begins at the building's observation deck, winding through playa and skirting permanent wetlands, crossing a wetland control structure and looping back around to the education center parking area. Benches along the way provide a place for hikers to rest and enjoy the sights and sounds of the area. Our environmental education staff uses the trail as a tool when providing outdoor experiences to visiting groups. Plants, soil, water, invertebrates, insects, etc. can be studied first-hand from the trail's edge. 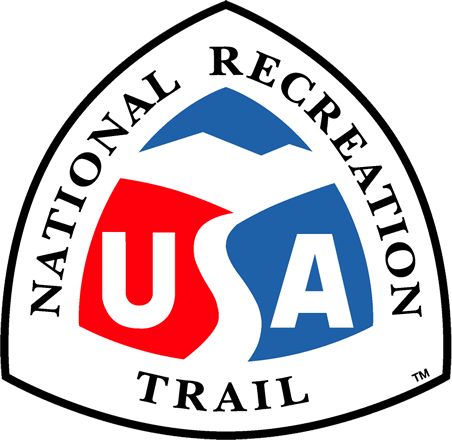 Since the opening in Spring 2006, more than 10,000 people have walked the trail. The cattail and bulrush marsh is fed by a mountain stream, and is surrounded by grasslands both which host a wealth of wildlife, including birds, mammals, reptiles, amphibians, insects and fish. Nesting in the area and along the trail, visitors during the spring, summer and fall months are greeted with the sights and sounds of a myriad of wildlife species, including long-billed curlew, white-faced ibis, snowy egret, grasshopper and song sparrows, marsh wren, Virginia rail, sora, cinnamon teal, cliff swallow, red-tailed and Swainson's hawks, American coot, western meadowlark and a host of other birds. Long-tailed weasels live close by and are often seen in the area, and mule deer, raccoon, and other mammals are occasional. The marshes also host a diversity of fish, frogs, dragonflies and other creatures. The trail was a cooperative project of the Bear River Migratory Bird Refuge, Friends of the Bear River Refuge, Brigham City and Box Elder County.